More importantly, welcome to Trinity! 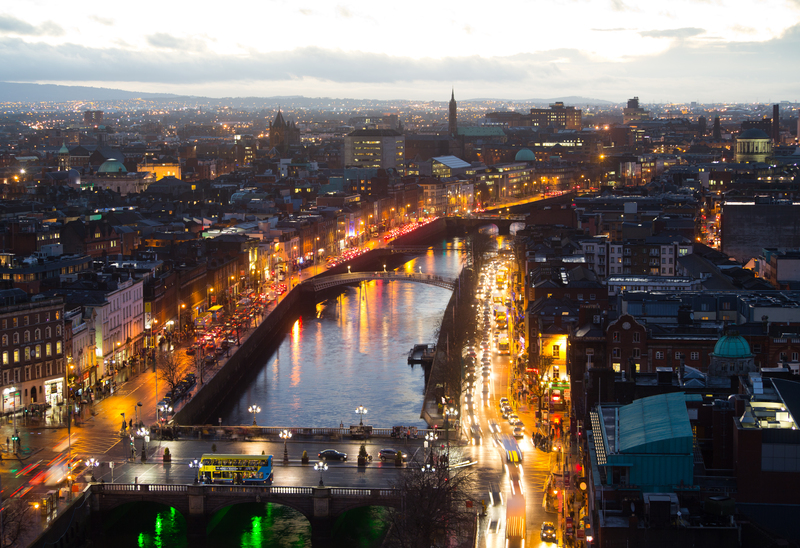 Dublin is a vibrant, beautiful city, that’s always pulsing with energy, and always has something going on. Whether you're moving to Dublin from Meath or Malaysia, the biggest problem you're likely to face is just getting started in the big city, and starting out living on your own. Below, you'll find advice on getting accommodation, placing deposits, household utilities, looking after your finances, and general tenancy agreements. The first hurdle you'll need to overcome coming to Ireland will be actually finding a place to live. It can be scary, particularly if you're organising accommodation from abroad - however, if you start early and put in the effort, you'll definitely find somewhere to live, that'll meet your needs. The Students' Union offers an Accommodation Advisory Service, located in House 6 in Front Square, where you'll be able to find out more about some of their listings, and their cribs. There is also a database of accommodation on their website, www.tcdsu.org. International students should also check the off-campus accommodation available to them. As a tenant, you have a number of obligations under the Residential Tenancies Act of 2004. Main the property in good order and inform the landlord when repairs are needed, allowing access for them to do so. You must not engage in activities that harm the property. You must allow the landlord to do inspections of the property upon prior request. Inform the landlord of who is living in the property. Avoid causing damage, nuisance or breaking the law. Comply with the terms of the tenancy agreement. Keep a record of all repairs, payments and dealings with the landlord. Sign the PRTB registration form when requested to do so by the landlord. Don’t do anything that could affect the landlord’s insurance premium on the location. However, you also have a number of rights as a tenant. The rented accommodation must be in good condition. The tenant must have privacy - landlords can only enter the accommodation with your permission, unless it’s an emergency. Landlords are permitted to carry out routine inspections of the property. Tenants must have a rent book, written contract or lease with the landlord. Tenants must be informed of increases to their rent. A rent increase can only occur once a year except in certain circumstances when improvements have been carried out to the dwelling, and according to the current market rate after 28 days written notice. Tenants must be able to contact their landlord at any reasonable time. Tenants must be reimbursed by the landlord for any reasonable and vouched repairs that are carried out on the accommodation, in cases where the landlord has refused or failed to carry out repairs requested by the tenant within a reasonable time. Tenants must be given given proper notice before the termination of the tenancy agreement. Tenants can refer disputes to the Private Residential Tenancies Board (PRTB). Most places come with an already established connection to a supplier of gas and electricity. However, to maximise savings and make sure that you’re getting the best deal, it pays to shop around, and ensure that you’re really getting the most out of your money. When you enter Ireland at the airport, you will need to show your offer letter from Trinity, your valid passport, proof of health insurance, a receipt for your College deposit or fees (or scholarship letter) and a bank statement showing your means to support yourself during your stay. The immigration officer will stamp your passport for a period of usually about 30 days. Within that time you are expected to visit INIS and register as a non-EU student. A college letter stating your course and its duration. This can be obtained from the Academic Registry (AR) which takes 2-5 working days to process. The letter must not be dated more than 7 days away from your appointment date. The visa that you will receive in your home country is a single-entry visa. After you arrive in Ireland and register with the INIS, you will need to apply for a multiple entry visa to allow you to enter and leave the country as many times as you would like. You may need a separate visa to visit other countries in the EU, so you should be sure to check before planning any travel. The following are a selection of Dublin-focused social and entertainment sites. From best places to eat, to cultural events, to upcoming activities. A bank account is the most essential thing to set up upon arrival in Ireland. The majority of banks require proof of address in order to set up an account - however, should you wish to choose them as your bank, the Bank of Ireland on Trinity campus only requires confirmation from the college that you’re a student before they set you up with a bank account. These branches can be found beside the Buttery just off Front Square, and next to the Hamilton Café. If you have proof of address and wish to set up with a different bank, you will also need to bring your Passport or EU National Card with you. Outside of keeping warm, keeping the lights on and the water running, one of the most essential things for life is staying connected to the world around you. There are plenty of options for mobile networks in Ireland, and for getting up and running online as well. One of the first things you’ll want is a mobile phone, to get connected to the wider world, and also so you can phone home and let them know that you’re safe. This is one of the easiest and earliest things you’ll want to get. If you need to buy a new phone, there are plenty of phone shops in and around the city centre, primarily located on Grafton St. If you want to keep your old phone, but set up on an Irish network, it’s as simple as popping in, and talking to them about changing over your phone. In Ireland, paying for phones comes under two categories - bill-pay and pre-pay. If you want to avail of a bill-paying phone, you’ll need a bank account first. You’ll also be asked to set up a fixed contract, which makes this a great option for Erasmus students who may only be here for a term. Pre-pay is even easier - it gives you ‘credit’, which you can then spend on texts and calls, and you can top-up from any shop or store once you run out. Pre-pay contracts often offer deals, like free calls on evenings and weekends, or free texts to phones on the same network. Wi-fi is available throughout the college, and you can access it off all devices. If you don’t have an internet-ready advice, there are plenty of computer rooms in on and off-campus locations - you can also find computers in the Arts Block concourse. Just log on with your TCD ID. If you’re having trouble accessing the internet on your personal device, get in touch with IS Services on helpdesk@tcd.ie. To set up broadband/wi-fi in your home, the easiest thing to do is go to one of the main suppliers, who are listed below. To check the best deals for your area, head to www.getbroadband.ie. It pays to shop around in this department, and find what suits you best. Navigating Dublin is easy and there are plenty of options to choose from when deciding which mode of transport is best for you. An essential for any student is the Student Travelcard, which you can pick up from the Students’ Union. Not only do they provide you with lots of deals for students around the city centre for food, clothing and more, they also allow you to avail of cheaper prices for taking Dublin Bus, Irish Rail and the Luas system. Dublin Bus operate an extensive bus network system that can take you to within walking distance of the majority of places in the city centre, the wider Dublin area, and some beyond. More information on rates and routes are available at dublinbus.ie. The luas.ie is the light-rail system of Dublin, and offers a direct link to many major locations outside of the wider Dublin city centre region. Lines operate direct links to The 3 Arena concert venue, Dundrum shopping centre, Taillight and St. James’ Hospital. There are two Luas lines, Red and Green. Red operates between The 3 Arena and Tallaght, and the Green operates between St. Stephen’s Green and Cherrywood. The Luas is currently undergoing major works to connect the Red and Green Lines, and to extend the Luas network through the city centre. Getting around the city centre is easy with dublinbikes.ie - the bikes are available to rent from lots of city centre locations, and require a payment via card from the machine - you can get a 3-day pass, or an annual ticket. You must pick up and drop off a bike at the designated stations throughout the city, or risk being charged more!